Ewa M. Matuszewski ematuszewski@mednetone.net is the CEO and a co-founder of MedNetOne Health Solutions and a champion of innovative primary care and chronic care initiatives, including the Community Care Travel Team, which received the Eagle Award from the Greater Detroit Area Health Council in 2010. Ms. Matuszewski has a history of leading physicians and their practice teams through change and promotes a vision of patient-centered medicine and a culture of organizational excellence. Areas of expertise include health policy analysis, physician workforce strategies, physician practice environment, primary care team leadership, primary care practice management/governance interface and quality improvement and validation within physician practices. 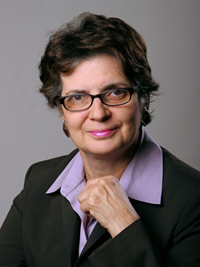 Ms. Matuszewski consults with medical societies and state, local, national and international health care organizations, including the Michigan State Medical Society and the Michigan Osteopathic Association and is a frequent speaker on the Patient Centered Medical Home and ACO initiatives, management of health care innovation and primary care based chronic care programs. Ms. Matuszewski is a practice mentor with the American Academy of Family Physicians’ Practice Enhancement Forum, a guest lecturer at the Doctors’ Hospital Family Medicine Residency Program, member of the Michigan Primary Care Consortium and co-chair of the Blue Cross and Blue Shield Physician Group Incentive Program (PGIP) Patient Centered Medical Home Committee. She is also a founding member of the Michigan Stanford Chronic Disease Self Management Program Master Trainers Organization, American Medical Group Association and the Michigan Primary Care Consortium. Ms. Matuszewski was named a Champion of the New Economy in 2011 by DBusiness Magazine for advancing the new model of primary care medicine in Southeast Michigan. She is a graduate of Wayne State University. 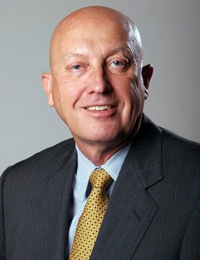 Algirdas (Al) Juocys, D.O., ajuocys@mednetone.net is the Chief Medical Officer of MedNetOne Health Solutions and one of the physician founders.In addition to his responsibilities for MedNetOne Health Solutions, Dr. Juocys is a private practice family physician at Country Creek Commons Family Practice in Rochester, Michigan, where he implement the most current patient-focused approaches to primary care, including the patient centered-medical home model. A graduate of Michigan State University’s College of Osteopathic Medicine, Dr. Juocys has continually worked to benefit the medical profession through many service and leadership roles. He is a past president of the Oakland County Osteopathic Association and held the position of Chair at the Department of Family Medicine at Crittenton Hospital and Medical Center, where he is an active member of the staff. Dr. Juocys is a member of the Michigan Osteopathic Association (MOA), the Michigan Quality Improvement Consortium (MQIC) and a Board Member of the Michigan Association of Osteopathic Family Physicians (MAOFP), which named him “Family Physician of the Year” in 2006. Dr. Juocys also received the Michigan State University College of Osteopathic Medicine (MSUCOM) Dean’s Award for Meritorious Contribution in 2010. Dr. Juocys is a retired, decorated State Surgeon of the Army National Guard, where he held the rank of Colonel and served two tours of duty in Iraq in 2004 and 2006. He also participated in relief efforts to provide medical assistance to the victims of Hurricane Katrina at Fort Custer. 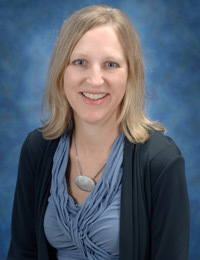 Lori Zeman, Ph.D., lzeman@mednetone.net is Director of Behavioral Health Integration at MedNetOne Health Solutions. Her work focuses on integrating mental health and substance abuse assessment and interventions into physician practices and other medical settings to increase access to behavioral health services and address behaviors that can enhance or impede overall health and wellbeing. Dr. Zeman obtained her Ph.D. in clinical psychology in 1990 from the University of Miami and completed her pre-doctoral internship in pediatric health psychology at the University of Minnesota. In addition to her role at MNOHS, she is an Assistant Professor at the Wayne State University School of Medicine, Department of Psychiatry and Behavioral Neurosciences. Dr. Zeman has received several research, clinical service and training grants related to integrated care in primary care, HIV and OB/GYN medical clinics. She is also the director of a pre-doctoral psychology integrated care internship track at WSU where she coaches pre-doctoral psychology interns and internal medicine residents on team-based care, including motivational interviewing and other evidence-based interventions, to enhance their patients’ health.